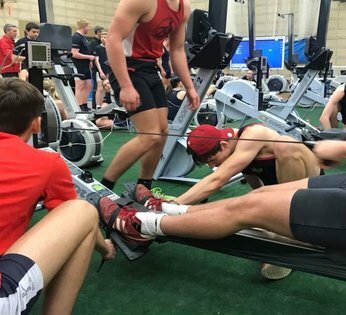 WRC boys and girls took on the challenge to take top positions against local rivals RGS and Kings at the annual indoor championships. Despite being very much the minority in numbers, competing against many more Kings and RGS juniors across the age categories. There were 12 boys events. Worcester boys entered 9 and took 7 titles and medaled in 8. This confirms their dedication to ongoing winter training, and its importance. It was good to see Rachael and few younger girls also taking the daunting challenge of indoor competing. Congratulations to Abbie for achieving Bronze in the year 9 500m, and Bronze for year 9 Team Mia, Emily, Kat and Abbie.